Major General Kinfe Dagnew is so far the highest detainees among those suspected of massive corruption within MeTEC. 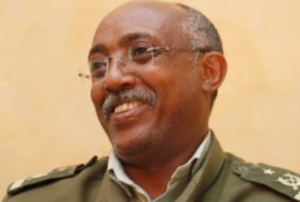 Addis Abeba, November 20/2018 – The federal high court 10th criminal bench has today rescinded its earlier decision to allow Esayas Dagnew, former Chief Operations Officer of the state monopoly Ethio Telecom, and the brother of Major General Kinfe Dagnew, the right for public defenders after the police said they have enough evidence of a collection of properties, bank shares and bank deposits registered under his and his wife’s name. The police said the defendant and his wife own a G+ villa, six room villa, 208 sqm plot of land, several shares in various private banks, and a construction loader truck among others. The defense lawyers have argued that the list of properties were similar list registered by the federal anti-corruption commission in 2010 and do not necessarily imply the current ownership of the accused. However, the judges have ruled that Esayas, like his brother Major General Kinfe, can afford to pay of private defense and should no longer be entitled to get public defenders. At the same trial, defendant Major General Kinfe Dagnew appeared with his private defense team after the court denied him access to public defenders during last week’s hearing. However Major General Kinfe told the judges that he was unable to have a private conversation with his lawyers due to intrusions from the prison police. The judges have therefore allowed the General to have a private time with his lawyers during the hearing. After consultations, the defense lawyer Zeresenay Misgana, who is now representing the two brothers, expressed his objections about the airing of a documentary film by all state owned media and other ways of information dissemination from the government as it infringes the presumption innocence of his clients until proven guilty. After weighing on the arguments from both sides, the judges have grated the police 14 more days to remand both and the rest in the same file and investigate and adjourned the next hearing until December 03/2018. Similarly, the court gave the police until Thursday November 22 to remand and investigate millionaire Alem Fitsum, the owner of Alem Genet steel steel factory and Four Points by Sheraton, a hotel under construction around at the heart of Addis Abeba near Mesqel Square. Alem Fitsum was the latest to have been arrested on Saturday November 17 on suspicions of corruption involving a deal with MeTEC, the state owned, army run conglomerate at the heart of the corruption crackdown. In a related development, the police have added separate accusations of corruption and human rights abuse against Tesfaye Urgi, former anti=terrorism division head of the National Intelligence and Security Service (NISS). Tesfaye was originally accused orchestrating the June 23 bombing at the rally organized to support Prim Minister Abiy Ahmed’s reform agenda. However, prosecutors have failed to file charges against Tesfaye despite charging five others detained with him with terrorism offenses. Today the police have told the court they suspect Tesfaye of corruption and human rights violations. The later accusation has so far landed 36 suspects most of whom from the same organization as Tesfaye, the shadowy NISS. The court has granted the police 14 more days to remand and investigate Tesfaye and adjourned the next hearing until December 03/2018. However it it remains unclear whether the accusations related to the June 23 bombing against are still active. Weekly.Ahram.org.eg: What next for Libya? TheHill.com: Russia is gaining influence in Libya: How will Washington respond?